I’m Jim and I founded infinite diversity in 1989 when a friend of mine asked if I could throw a couple of lamps in his Klingon d-7 Star Trek model and make it hang from his ceiling. I went down to the hobby store and radio shack and got some red and green mini LEDs, and made a pretty decent looking black fleet warship for him. Just a few batteries and some wire. Well, so many people wanted ones like that, that I opened up shop and between care giving for my grandmother and father, I surfed and skateboarded on my half pipe for years while I filled custom orders for trade. You might remember Mike from Lunar Models, I was making fusion cores and domes for his 16” Jupiter 2 for years along with sound chips. I discovered paper models after some adventures and misfortunes that made me just want to relax for a while, so I thought that I would try to do something that I just could never do. 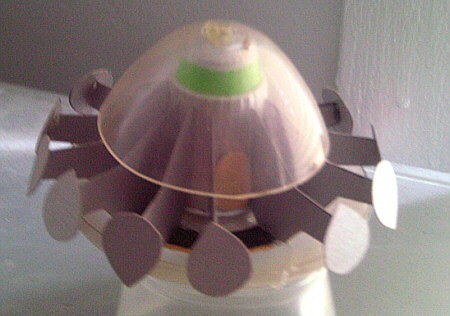 I thought about learning to play piano, but I was fooling around on the internet, looking at pictures when I saw a USS Grissom starship built in Germany in paper, downloadable for free. I looked at the model and the craftsmanship involved and knew right then that I could never compete in this, so I immediately began learning how on my own. I still don’t have the thousands of dollars of software to make cad designs and light wave meshes and such, and convert them in to paper models, but I draw pretty steady and have posted some things I created for free. 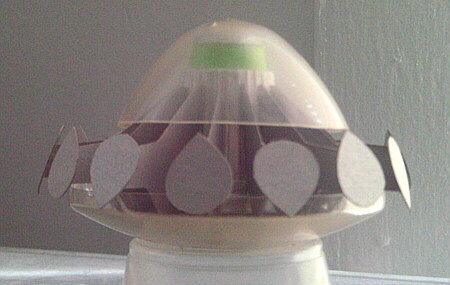 I always have loved UFO and Lost in Space and Star Trek, and make lights and sound effects for models, including flying saucers and all kinds of paper models. My most recent is the Duke from Hawaii’s 17 foot long hollow surfboard made out of redwood. 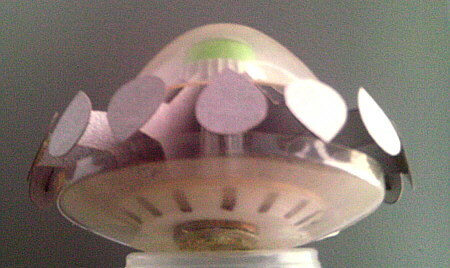 I am making my own vaccuform kit of a 5” wide UFO, clear or green shells, and in silver. I will still make the paper ones too. I thought I would also make a clear blue shell one with black hull, and gold details as I have liked what I have seen of the CAD drawings of them. I play the guitar, learning the keyboard and draw portraits. I am learning to write. I collect movies and gems and strange things I find on the street and glue them to poster board if I feel like I want to look at them on my wall. I have 3 of those so far.